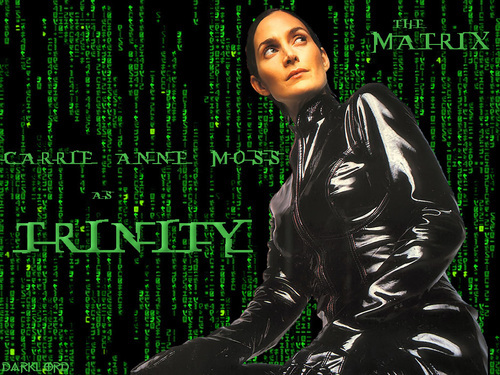 The Matrix Trinity 壁紙. Carrie-Anne Moss as Trinity wallpaper.. HD Wallpaper and background images in the The Matrix club tagged: the matrix carrie-anne moss trinity wallpaper. This The Matrix wallpaper might contain 看板, ポスター, テキスト, 黒板, and サイン.